The most trusted, reliable, and proven software solution in the housing industry for over 20 years. The one-stop shop for all your housing authority’s needs, HDSWin is the most rock-solid solution for handling everything from rent calculations to work orders. For over two decades, we have developed, modified, and improved our software with the input and insights of housing authorities across the country. This has lead to the premier software solution for this unique and complex environment. Put simply, HDSWin is the most cost-effective, affordable, all-in-one software solution on the market. HDS has been your partner for more than twenty years, and HDSWin remains the best software solution at a cost of ownership that has been a fraction of other products in the industry. Integrates seamlessly with the newest, most advanced time-saving HDS products such as HDS Entry Mobile Inspections, HDS Fileroom, HDS Queue Online Waiting List, and HDS Lockbox Online Automated Data Backup. Save time, money, and resources with the HDS ecosystem. 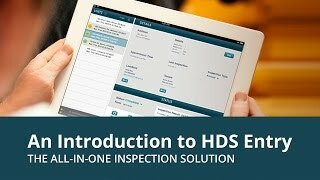 HDS win is popular with housing authorities all over the U.S. because of its rock-solid reliability. Quite simply, HDSWin gets it right, every time. We have a new solution on the horizon, and we’re making the transition easy and affordable.